I'm pissed, ya'll. And I'm starting to think stories like this are self-fulfilling prophecies. You say a movie's a flop before it ever comes out, and people don't go expecting it to be terrible. The film in case this time is James Cameron and Robert Rodriguez's Alita: Battle Angel, which I think all of us have expected to bomb for a while now. What makes me angry is that it's actually a pretty good film with 3D visuals that are worth paying for, and people should do exactly that. 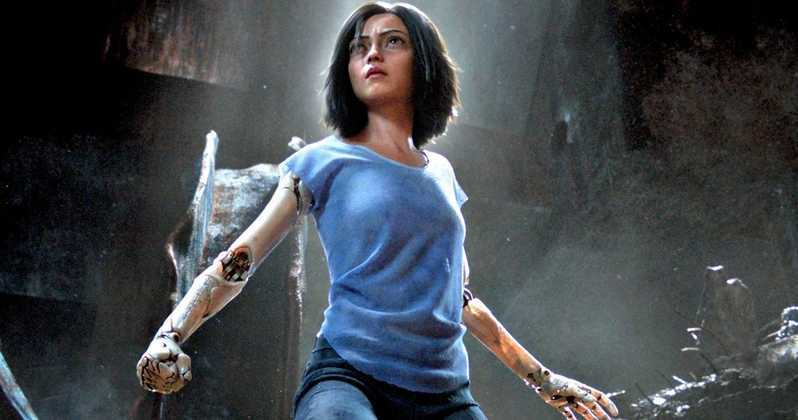 Unfortunately, according to a report from The Wrap, Alita: Battle Angel is staring in the face of a $150M-$200M loss on its opening weekend, after an expected debut of around $25M over five days. Damn. That's still better than what was being projected when the film was set to open two months earlier against Aquaman and all of December's powerhouse releases. Another sad note is this could be Fox going out with a whimper before their deal with Disney goes through. After ending 2018 with the $800M haul of Bohemian Rhapsody, they would be ending with one of their biggest flops in years. Alita: Battle Angel's domestic total may only top out at $50M, and with a production budget hovering around $200M due to all of Cameron's vaunted technology, it's going to take a lot of overseas help to break even because we haven't even factored in marketing. Weighing it down is the sour taste in a lot of people's mouths over the live-action Ghost in the Shell, which was panned by critics and audiences on its way to just $196M worldwide. Cyberpunk sci-fi movies have a lousy track record in general domestically, as Blade Runner 2049, which enjoyed some of the year's best critiques, still fizzled at the box office. My hope is the modest reviews for Alita: Battle Angel will win out, along with some genuinely great ad campaigns showing off the dazzling effects. But I'm poised to accept that one of the surprise movies of this early part of 2019 may have to be discovered on home release rather than theatrically.